Cute Solar Statues for Your Garden! Cute Solar Powered Outdoor Statues for Any Garden! They are perfect to have in any garden, large or small! No need for plugs and wires and all of that! Second of all, they give a gorgeous and magical glow for the whole night, making your garden look like a very mystical place! They are perfect for having right in your front yard, so when people drive by at night they will see them glowing! *(This is a HUGE solar lighthouse for sale! 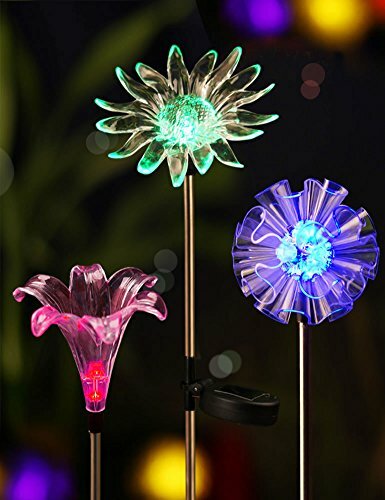 Very Cute Color Changing Solar Lighted Flowers! I LOVE colorful flowers and this cute solar lighted flower set is gorgeous, isn’t it? Imagine them all over your garden at night! Will make a fun housewarming gift idea! I also LOVE cute solar gnomes! They are the cutest ‘garden creatures’ ever! 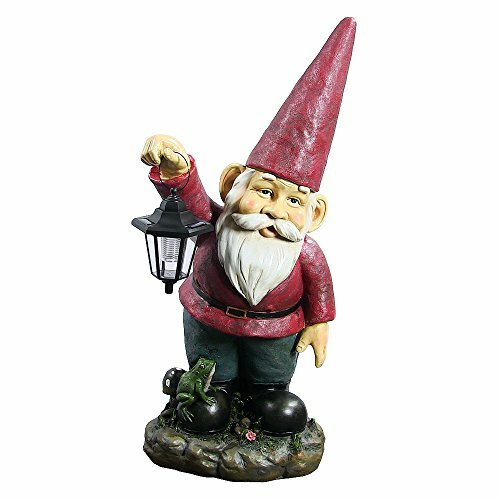 Are you looking for a very BIG solar gnome statue for your garden? This is a gorgeous and very large solar gnome in a gorgeous purple outfit holding a lantern! Perfect to have near your front entrance! I just spotted the cute frog on his shoes! One of the Cutest Solar Statue for Gardens! 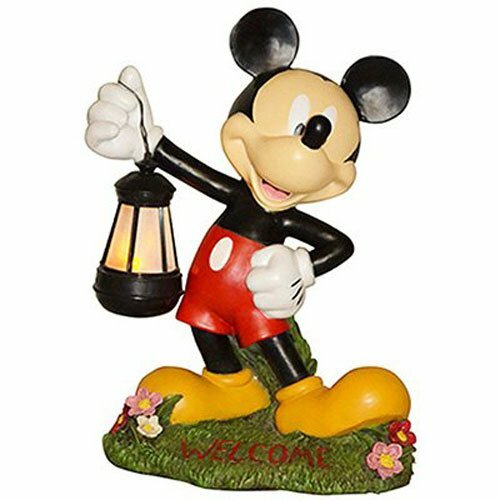 It’s a gorgeous Mickey Mouse solar statue for sale!! Can you imagine how cool it’s gonna look in your garden at night? Perfect unique gift idea for any Mickey Mouse fans!! You will actually get 12 cute solar snails to place in your garden! 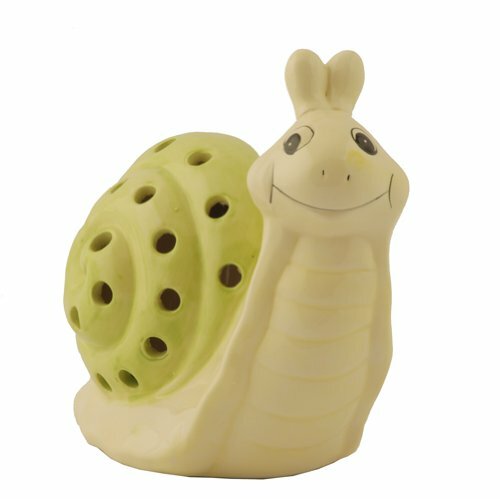 You will be able to ‘sprinkle’ these fun solar snails all over your garden! You can create a cute ‘snail path’ near some plants or flowers! Very Cute Solar Frog Lantern Statue! 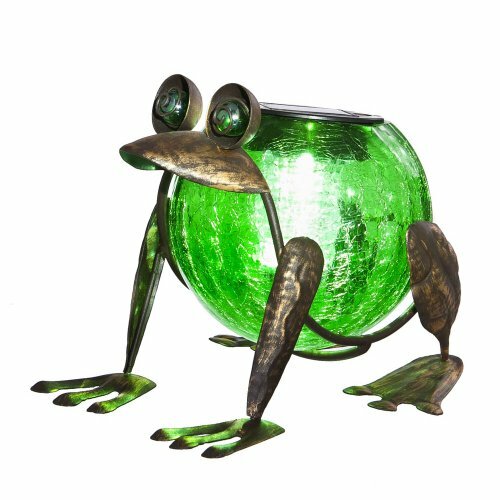 I also LOVE frog statues and this cute solar frog metal and glass lantern is awesome! I love his beautiful ‘frog color’! It looks stunning at night! Great gift idea for frog lovers! 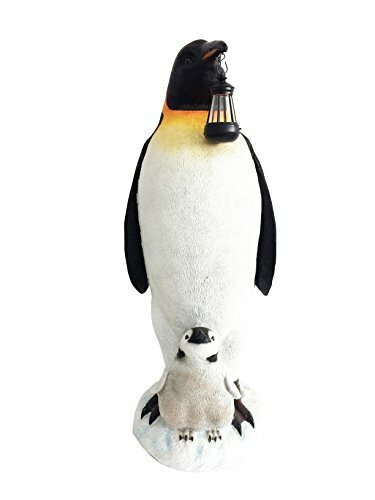 This is a cute and very creative tall penguin holding a solar lantern outdoor statue! The lantern will stay lit at night illuminating the cute baby penguin! It will stay lit for approximately 8 hours at night. This cute statue will put smiles on everyone’s faces! 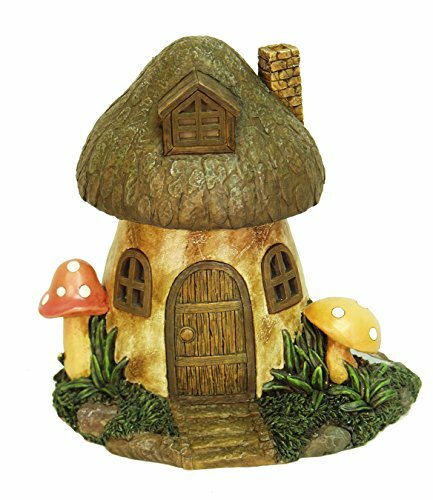 Adorable Solar Powered Mushroom Home Statue! Have you ever seen a fun solar powered mushroom house before? I would have at least a few of them in my garden! Perfect to have around the gnome statue! *I hope you enjoyed my selections of cute outdoor solar statues for sale!